After 16 years of indispensable service in the Indian market, Hyundai authorities have decided to stop the production of the best-selling Hyundai Santro in the Indian market. It is a noticeable fact that Hyundai stepped in the Indian automobile market in 1998 with Santro being its first variant. Though there have been other mid-budget cars that brought a revolution in the world, but Hyundai Santro was the car that took the Indian automobile market to a whole new level. The authorities at Hyundai believe that despite the car has served successfully in the Indian market, the tenure of the car has expired and the time for clearing up some space for the manufacturing of other models has come. Though the production of Hyundai Santro has been discontinued, the spare parts for the existing owners will still be available in the market. 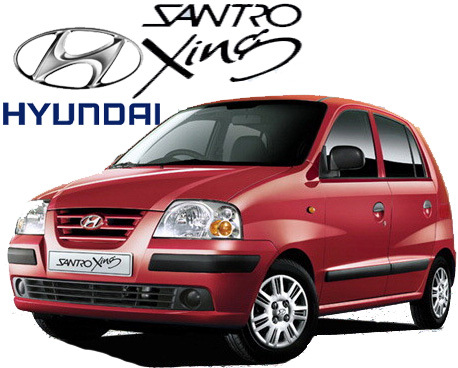 The overwhelming fame that Hyundai Santro has received in the Indian market over the years is because of the major attention that it received in the year 2003. The new Santro Xing was also introduced that year along with an updated 1.1L four-cylinder petrol engine, as compared to the earlier 1.0L engine.